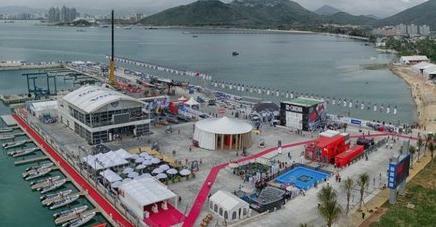 The Volvo Ocean Race 2011-12 not only promoted Sanya’s reputation, but also boosted the consumption growth in Sanya. According to the principal of the Sanya Stopover for VOR 2011-12, Sanya Race Village has become a temporary hot tourist destination that attracted nearly 300,000 visitors within 2 weeks, among which 15,000 of them headed to Sanya for the VOR. Besides, it also stimulated consumption demands and generated an income of RMB1.5 billion during the stopover time, among which RMB200 million deals were made at the yacht exhibition hall. At the same time, the sales revenue of Sanya’s commodity houses reached RMB1.1 billion at the VOR Carnival Exhibition Area, up 77% year-on-year.